Sowing date and irrigation timing are crucial to maximise the yield and water productivity of faba beans, according to research from the Charles Sturt University (CSU) Graham Centre for Agricultural Innovation. Faba bean is a legume used to fix nitrogen in the soil and is also a disease break-crop. But production in the semi-arid areas has been highly variable due to variable year-to-year rainfall. 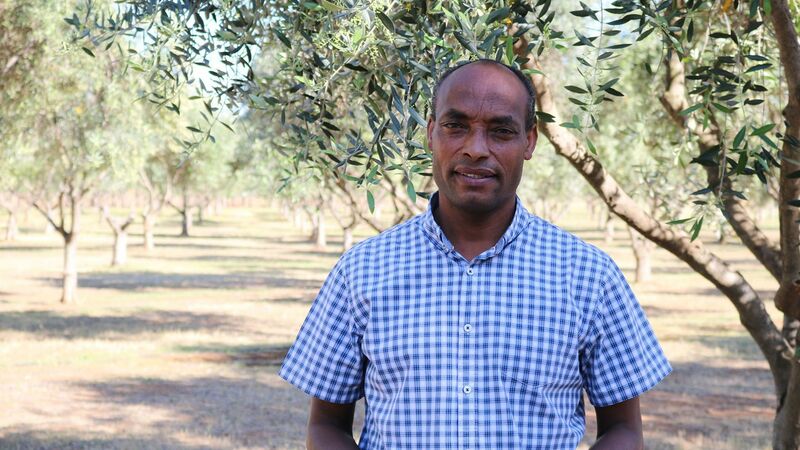 The research by Dr Keteme Zeleke (pictured) from the CSU School of Agricultural and Wine Sciences used field experiments and simulation modeling to examine how a mid-flowering faba bean cultivar performed under different sowing dates and watering regimes in south-eastern Australia. Dr Zeleke said the research shows irrigation during flowering and post-flowering phase is the key for these faba bean cultivars. “The crop is least sensitive to water stress during the vegetative stage, as it can recover and still result in high yield if there is no soil moisture stress during the reproductive stage,” Dr Zeleke said. “Sowing date had significant effect on the yield of rain-fed faba bean, while the effect on irrigated faba bean is less clear as early sown faba bean can have too much vegetative growth, lodging and disease pressure. “Faba bean sown in the third week of May can yield as much as the one sown in the third week of April, if irrigated during the reproductive stages. As producers struggle with low water allocations, the research also provides some important information about how best to target irrigation in faba bean production in south-eastern Australia. “Although it received 28 per cent less water, the faba bean crop that was irrigated only during the reproductive stage gave a similar grain yield as the fully irrigated faba bean crop,” Dr Zeleke said. This research ‘Growth and yield response of faba bean to soil moisture regimes and sowing dates: Field experiment and modelling study’ was published by Dr Zeleke and Dr Claas Nendel in the journal Agricultural Water Management. Earlier field experiments and modelling studies by Dr Zeleke have also shown the signficant role of sowing time, cultivar choice and irrigation in increasing canola and wheat grain yields and water productvity.